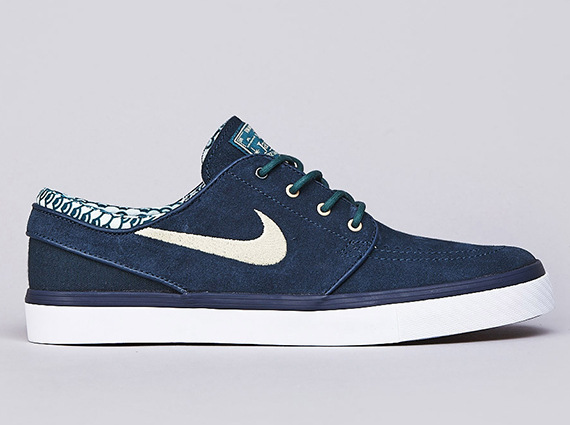 Is the Nike Zoom Stefan Janoski at the top of the heap as far as current Nike SB sneakers? It is certainly occupying a good lane, having stuck around for quite a long time beyond its initial debut-even keeping things interesting with all sorts of premium and patterned pairs. This new version ticks both of those boxes, sliding a curious graphic into the lining and an armory navy suede across the upper. See the shoes in full detail with us after the break and then pick yours up from Flatspot.